Anderson, M.T. “Two Theories of Narrative.” Lecture. Vermont College of Fine Arts, Montpelier, VT. July 2008. Sound Recording. Ashmore, Calvin. “David Bordwell: Narration in the Fiction Film.” Icosilune. 16 Feb 2009. Web. 16 May 2011. Berg, Charles Ramirez. “A Taxonomy of Alternative Plots in Recent Films: Classifying the ‘Tarantino Effect’.”Film Criticism, Vol. 31, Issue 1-2, 5-57, 22 Sept 2006. Ebsco Host. Web. 6 May 2011. Da Vinci, Leonardo. The Last Supper. 1495-98. Painting. Art History: About.com. Web. 16 May 2011. Doan, Lisa. “Plot Structure – The Same Old Story Since Time Began?” Critical Essay. Vermont College of Fine Art, 2006. Print. Freytag’s Pyramid. N.D. Graph/Illustration. Narrative Structure: Lit Blog. Web. 16 May 2011. Gardner, John. The Art of Fiction: Notes on Craft for Young Writers. New York: Vintage Books (A Division of Random House), 1983. Print. Meadows, Mark Stephens. Three Alternative Plot Structure Graphs. N.D. Graph/Illustration. Radha’s Webblog, Corocoran College of Art and Design. Web. 16 May 2011. Muliawan, Anugrah Adi. Flashback Plot Structure. N.D. Graph/Illustration. Anubuono Blog. Web. 16. May 2011. Na, An. “Structuring Stories.” Lecture. Vermont College of Fine Arts, Montpelier, VT. July 2010. Sound Recording. “Narrative.” Random House Dictionary, Dictionary.com, 2011. Web. 16 May 2011. Parise, John. Petal Plot Structure. 2002. Graph/Illustration. 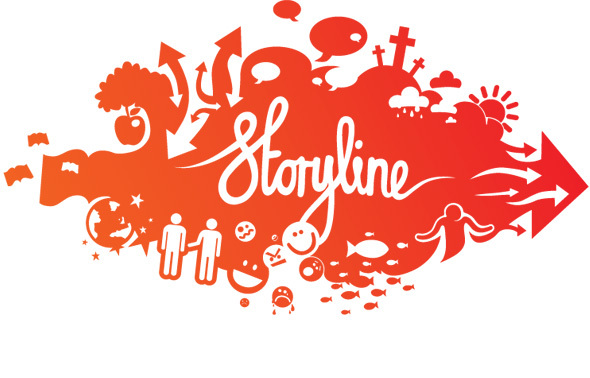 Storytelling: Story Structure, Carnegie Mellon School of Computer Science. Web. 16 May 2011. Ragan, Sean. The Mystery of Chimney Rock: Plot Map. N.D. Graph/Illustration. Radha’s Webblog, Corocoran College of Art and Design. Web. 16 May 2011. Ryan, Maurie-Laure. “Cheap Plot Trick, Plot Holes, and Narrative Design.” Narrative, Vol 17. No. 1 (January 2009). Ebsco Host. Web. 7 May 2011. Sempere, Anindita Basu. “Verse and Vignette Novels: Why You Should (or Shouldn’t) Break Traditional Form.” Lecture. Vermont College of Fine Arts, Montpelier, VT. Summer 2007. Sound Recording. Shephard, Katie. Freytag’s Triangle. 2010. Graph/Illustration. Katie A2 Media. Web. 16 May 2011. “Structure.” Random House Dictionary, Dictionary.com, 2011. Web. 16 May 2011. Wikipedia. The Hero’s Journey. N.D. Illustration. Monomyth on Wikipedia.org. Web. 16 May 2011. 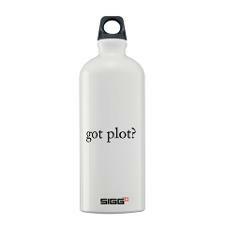 TO PLOT OR NOT TO PLOT: Part 3 – Got Plot? Okay, so I’ve got a story, but do I have a plot? Let’s take a look at how plot is different. Once a writer has established his or her story (what happens) one will need to decide which events to present to the reader. This is the construction of a plot. A plot is “someone’s telling of the story” (Liz), “how the story is presented” (English Basics), or “the arrangement of what happens” (Chea). The author isn’t going to share every event of the story, (well you could, but that would probably be a lot like reading a boring history book), instead an author will select specific events that best engage the reader in the story (see figure 3). To create a plot, however, one won’t select events at random. There’s another important ingredient. In Forester’s original example of story he said: “The King died and then the Queen died.” Here we have two events which create a story but it does not have a plot. In order for this to become a plot there must be a connection of causality. Forester thus offers: “The King died and then the Queen died of grief” (Cowgill). Stephenson Chea says that “in examining plot, we are concerned with causality, with how one action leads into or ties in with another” (2). Forester’s addition of the words “died of grief” shows the action of the Queen’s death is a result of the previous event. 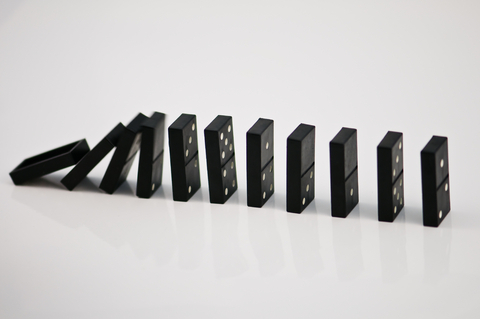 Plotting means selecting events with an internal logic, events “that lead the characters from their situations and attitudes at the beginning of the problem to their situations and attitudes when the effort to solve the problem is finally over” (Dramatica). In The Art of Fiction, John Gardner describes this logic as profluence. He says “a story contains profluence, and the conventional kind of profluence – though other kinds are possible – is a causally related sequence of events. This is the root interest of all conventional narrative”(55). He goes on to state that the reason profluence is necessary is because “we cannot read a whole novel in an instant, so to be coherent, to work as a unified experience…narrative must show some profluence of development” (55). If a story is what happens, and plot is the selection of events with a cause and effect relationship, one can begin to see how the two overlap. Ultimately an author in early stages of novel development may be simultaneously figuring out the story (what happens) as well as plotting it (how and why it happens). Humanities Professor Ron Layne states that “the plot is a series of conflicts or obstacles that the author and director introduce into the life of the characters,” the act of plotting therefore can affect and change the story while the writer is in process. In her evaluation of narrative, essayist Maurie-Laure Ryan adds that “plot exists on two levels: the plotting of the author, who creates the storyline; and the plotting of the characters, who set goals, devise plans, schemes, and conspiracies, and try to arrange events to their advantage” (56). An author must then balance the actions of character and the actions of their own choices of plotting. Story and plot thus flip-flop back and forth as they are created, revised, and crafted. This flip-flop explains the inherent contradiction found in Gardner statement that “the writer has no story until he has figured out a plot that will efficiently and elegantly express it” (56). No wonder story and plot are often confused, particularly when a writer is in the act of creation. So you may have a story, and you may have a plot, but did you know there are different types of plot? ** Full Bibliography will be provided at end of blog-post series. So you’ve got a Story, but do you have a plot? Up Next: Part 3 – Got Plot? I often find the terms Narrative, Story, Plot, and Structure to be used interchangeably (on blogs, in articles, tweeted, and talked about), and personally, much confusion has ensued as a result. The following is an adaption of a critical essay I wrote during my past term at the Vermont College of Fine Art. My goal was to clarify each of these terms in order to feel empowered by the vocabulary and the craft concepts rather than confused. Hopefully this series will help others who find the concepts confusing as well. The series is a little long and best read in-sequence. Enjoy! To Plot or Not to Plot: Plodding Our Way Through the Terminology (Defining the difference between Narrative, Story, Plot, and Structure). At some point every writer is going to have to wade his or her way through plot and structure. Not to worry, information on these not-so-tiny topics is plentiful. It’s so abundant, in fact, as to be absolutely mind-numbing; particularly so when it come to the plethora of terminology. 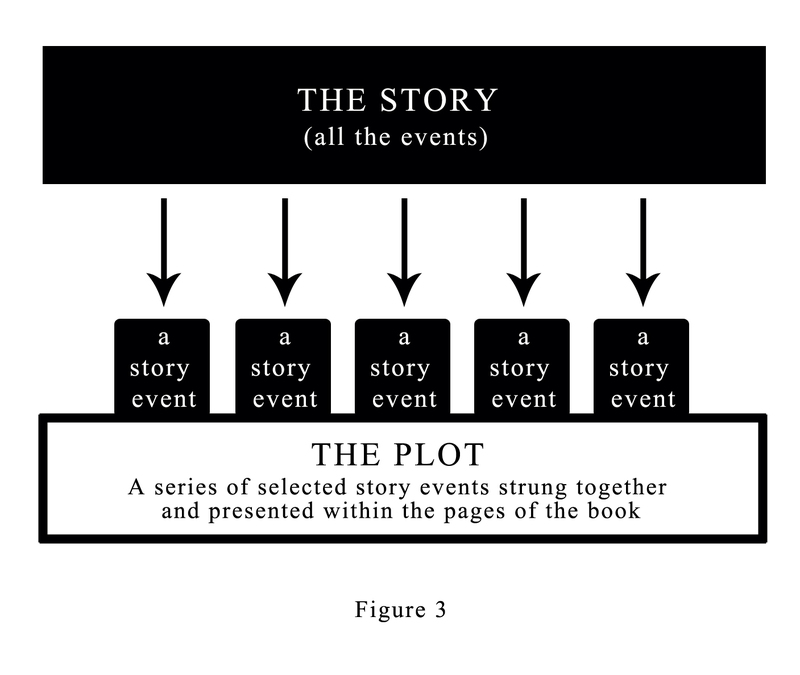 Is narrative structure and plot structure the same thing? The terms seem to be used interchangeably, but are they really? What if a writing teacher says “there’s no story”? Do they really mean there’s no plot, or is the structure the problem? The goal of this essay is to investigate the fundamental differences between the terms of narrative, story, plot, and structure, to help the writer obtain the proper vocabulary in discussing his or her craft, and to realize the options available. As Mark Twain so famously advised with writing: “the difference between the almost right word and the right word is really a large matter, it’s the difference between the lightening bug and the lightning,” so too should we writers and educators discuss terminology with care. For the difference between narrative, story, plot and structure can be just as vast. When we talk about any form of storytelling, be it the written word, fine art, film or interpretive dance, the term narrative always shows up. Unfortunately this may be the hardest of all the terms to define because it’s the most elusive. 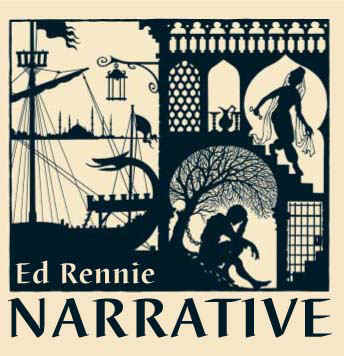 The Random House Dictionary defines a narrative as “a story or account of events, experiences, or the like (true or fictitious).” This definition of a narrative is slightly misleading, as it directly states that narrative is a story, implying the words are interchangeable. But are they really? “E.M. Forester defines story as the chronological sequence of events” (Basics of English Studies), and with this definition gives the following example of a story: “The King died and then the Queen died.” If we look at the statement “The King died” alone we have a single event, an incident. There is no story until a second event is introduced: “the Queen died.” Therefore, at its base, a story is a sequence of at least two events. Is this also a narrative? Absolutely, everyone would agree that this is an example of a narrative story. The questions start to arise when we look at narratives that are not stories, which is where the elusive quality of the word hides. Taking a look at fine art one encounters the term narrative art. 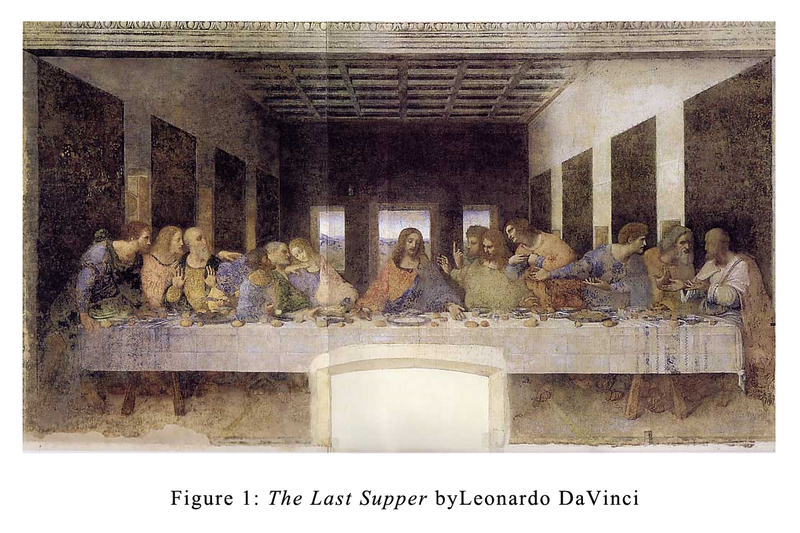 A good example of narrative art would be Leonardo DaVinci’s The Last Supper. In the painting one sees an image of a single event (see figure 1). The event itself is not a story. It’s a moment trapped in time. The word narrative is associated with this type of painting because it depicts a moment within a larger story, and the viewer is able to draw upon the story he or she already knows when viewing the work. These artworks are considered narrative because they recall a story through association. Herein lies the truth of narrative, it can be a story but it does not have to be. A narrative is about story, and creates connections to story and storytelling but does not in and of itself have to be a story. Another example of a narrative without a story would be a photo collage. Each photograph in a collage is of a separate event, moment, or object (which is not an event at all). However, the juxtaposition of images can spark a narrative relationship in the viewer’s mind. 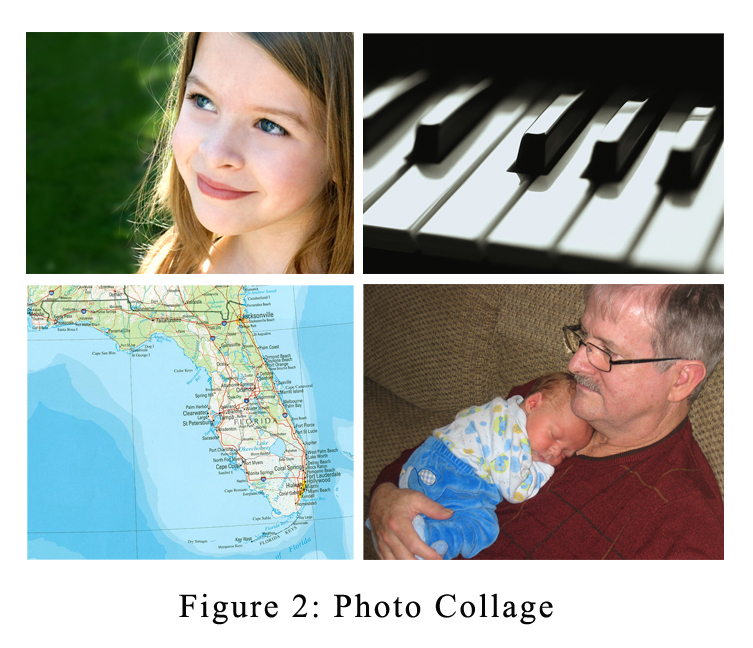 In figure 2, I’ve arranged a series of four random photos which have no initial connection with one another. However, a viewer may make connections between these images. For example one might begin to piece together a story about a girl who lives with her father in Florida and plays the piano. There is no sequence of events, thus no story. However the viewer begins to create a story by connecting these images in his or her mind, and that story (if one sees a story at all) will be different for each viewer. Hence the word narrative is applied to show that there is a tendency toward story, an implication, but no story is actually present. In the realm of literature it’s also possible to have a narrative without a story. Scenes or vignettes that create a collage of emotions would be a narrative, but not necessarily a story. Many poems, for example, would fall under this category. Therefore a story requires a sequence of events, but a narrative simply requires an implication or reference to story events without those events actually happening. So now we know what Narrative is! But what exactly is story?